I can’t believe that my internship with Downtown Boulder is coming to an end! What an amazing journey this has been, I’m glad that I was able to experience my first internship right in the heart of Boulder. Throughout my time here I’ve learned so much about downtown and all the businesses from inside and outside of the office. 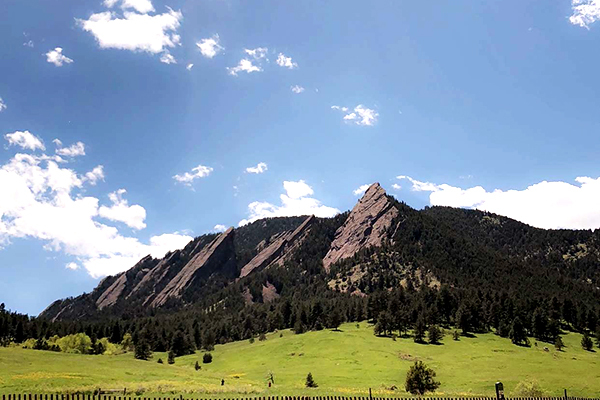 Being able to explore downtown during my days here has shown me how many passionate people and business owners there are living and working in Boulder. They put their customers first, and appreciate all that Boulder has to offer them. Having the opportunity to blog about my journey with all of you has been one of my favorite parts of this internship! I got to share everything new I’ve learned and discovered about Downtown Boulder. I never realized how much the Boulderites love being involved in the community until now! Seeing everyone come together for weekly events like Bands on the Bricks and the bigger ones like the Pearl Street Arts Fest, just shows how much the local community loves getting out and about downtown! I’ve also gotten to immerse myself in the downtown culture by working at Common Era this summer. This has been a great way for me to interact with Colorado natives, and visitors alike. Working downtown I’ve learned so much. I know that after this internship I’m walking away with some newly developed skills in my pocket and lots of memories! Senior year is about to start and I’m ready to see what’s in store now that I’ve had some real-world experience! I can’t thank everyone at Downtown Boulder Partnership enough for letting me join their team for a few months. Special thanks to Marissa for being my mentor all summer long and teaching me all her ways. I can’t wait to continue experiencing Downtown Boulder during my last year at CU. I look forward to all the new and exciting events that’ll be happening like Fall Fest and Girls' Night Out! Stop by and say “hi” to me at Common Era!